Stop in for a sandwich today. In 1872, following the Great Chicago Fire of 1871, the Green Door Tavern opened its doors. 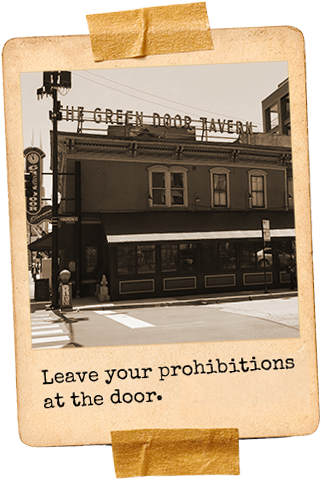 A lot has changed since then, but the Green Door has always remained true to its historic Chicago roots. Shortly after the building settled, it began racking (leaning)... and it has been that way for over 100 years. Stop in and find somebody to lean on. Even if just for the night. Whatever the occasion — a Birthday party, a Holiday party or just getting together with friends and family to watch a game, we have the perfect environment for an unforgettable experience. Parties are available for 20 - 200 of your favorite peeps. And best of all, at the end of the night, you go home and we clean up. 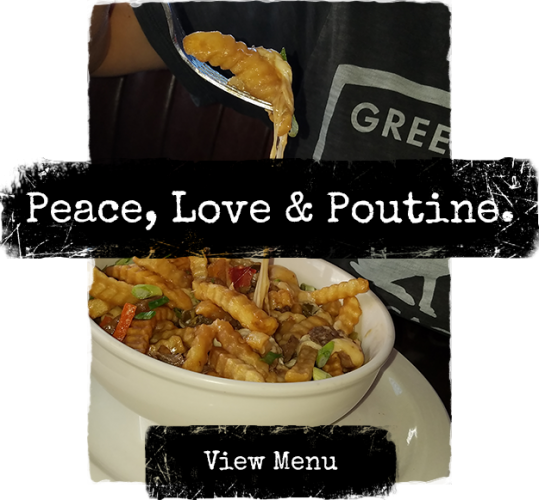 Nobody does Green like we do. Named THE place in Chicago to celebrate St. Patrick's Day by Huff Post. Our shot wheel can help you build up the courage to approach that redhead at the end of the bar. We send emails about once a month. And don’t worry, we won’t share your email with anyone. We hate that too.